merging Uta’s Evolve Wear collection, movement, sound with Ravene’s design, projections and expression into an art film. Shot at 190 Columbus Drive, Jersey City, 2nd location of the Fish with Braids Gallery. A continued interaction series between concept, art in action (or action art) and the thus created re-action and inspiration. A multidisciplinary piece in continuum. 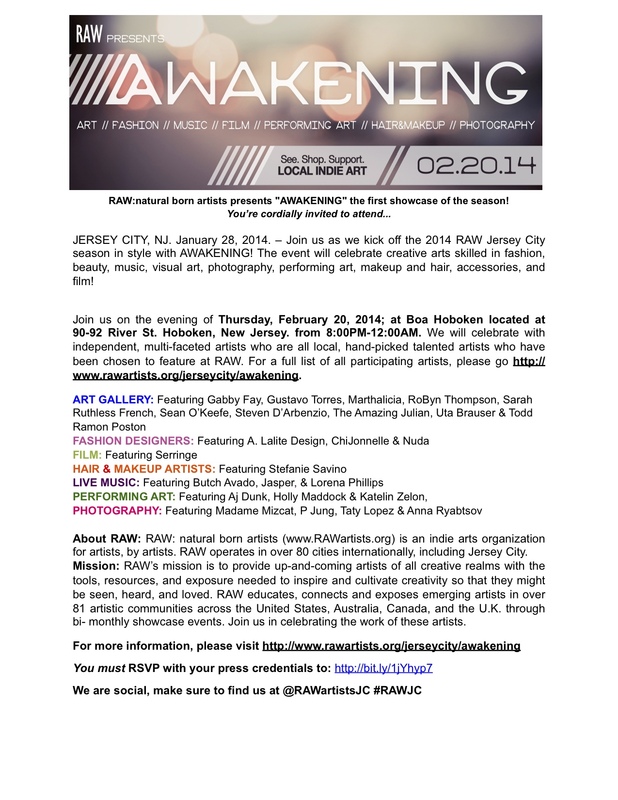 Feb 20 2014 I am part of the first group of RAW artists bringing a cool independent style art salon to the Jersey City area, with performances, fashion show, music and lots of visual art! at Booaaah 90 River Street, Hoboken, enjoy an entertaining super creative night out, meet the artists, be part of the creative energy happening next to the Hudson River! The Collective had 42 artists crammed into a room with paintings, drawings, photography, sculptures, video work and textile pieces.